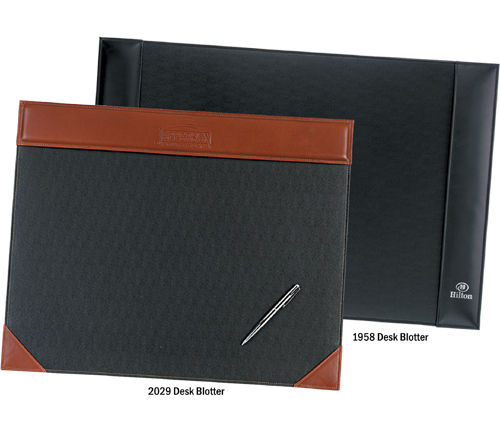 Top of the line and made in the USA desk blotters feature a protective felt bottom. 1958 comes with side pockets. Size: 1958 - 27" x 18" and 2029 - 22 1/2" x 18"
Weight: Approx. 2 1/2 lbs. Imprint area: 2" x 4"